Illustration is that of an ideal Kikokuryu. 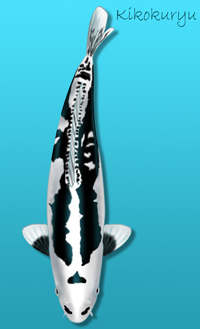 The Kikokuryu is a Doitsu white and black metallic koi that may change throughout the year. It belongs in the Kawarigoi class even though it is metallic based.